Hello my sweets! 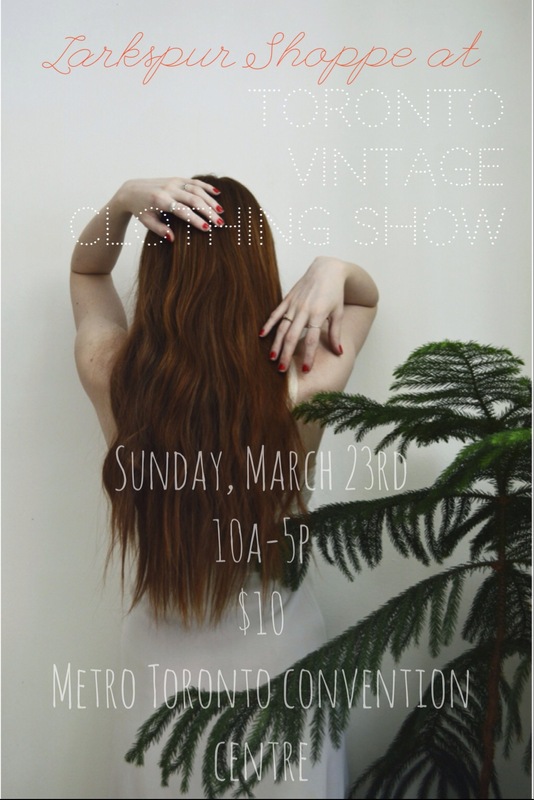 The Toronto Vintage Clothing Show is back this weekend, and yours truly will be slinging Larkspur stock. Do you live in Toronto and have your eye on something you aren’t quite sure about? Online shopping not really your thing? Well this is your chance to browse in the flesh! I had such an amazing time last Fall, I couldn’t pass up the Spring edition. Please do come by if you live in the area. It’s a great event, filled with really great vendors that come from cities all around Toronto. Just imagine a ball room FULL of vintage…it’s a dream come true. I’d love to see your faces!